The generation gap is given the Rodgers & Hammerstein treatment in this colorful approach to the age-old conflict. In San Francisco's Chinatown of the late '50s, nightclub owner Sammy Fong's traditional family has ordered him a picture-bride from China, hoping to end his pursuit of an enticing dancer. Mei Li arrives, shy and at sea in a world she doesn't understand, and it's clear that she's the wrong gal for the totally assimilated Sammy. However, she may be just the ticket for Sammy's buddy, whose traditionalist father is fighting a losing battle with his kids against rock `n' roll, baseball, sports cars and the typical trappings of the modern American life-style. By turns raucous and heartfelt, the solution to this delightful Chinese puzzle of properly matching the young people while reconciling the old is a celebration of American ingenuity. Description Tags: Strong Role for a Leading Woman • Roles for Children • Specific Minority Casting • Musical Comedy • Musical Drama • From the World of Literature • Social Themes • Americana • Something Different • Classic Broadway. Cast Size: Medium (5-21) • Large (14+). Vocal Demands: Easy • Moderate. Dance Requirements: Extensive • Some Dancing Required. Good For: Elementary School • High School • College/University • Amateur/Community • Professional Theatre • Religious Organization. 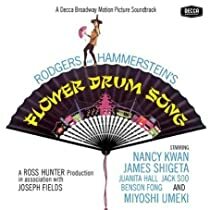 The birthday of David Henry Hwang, who was inspired to write a new book for Rodgers & Hammerstein's FLOWER DRUM SONG that earned him a Tony nomination for the 2003 revival. In 1895 was the birthday of Joseph Fields, writer of the original book for Rodgers & Hammerstein's FLOWER DRUM SONG. 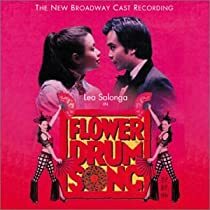 In 2003, David Henry Hwang's new version of FLOWER DRUM SONG closed on Broadway after 169 performances and three Tony nominations. 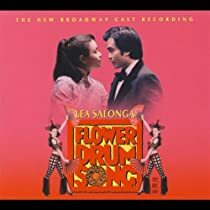 In 2002, a new version of FLOWER DRUM SONG with an updated book by David Henry Hwang opened at the Virginia Theatre, where it ran for 169 performances and recieved three Tony nominations. In 1960 FLOWER DRUM SONG opened at the Palace Theatre, London, and ran for 464 performances. In 1958, the world premiere of FLOWER DRUM SONG was presented at the Shubert Theatre, Boston. 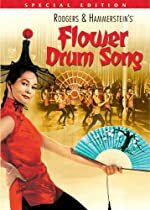 In 1961, Universal Pictures released the movie version of FLOWER DRUM SONG, produced by Ross Hunter and starring Nancy Kwan, Miyoshi Umeki, Jack Soo, James Shigeta, and Juanita Hall. Marilyn Horne dubbed the song "Love Look Away.""" In 1958, FLOWER DRUM SONG opened at the St. James Theatre, New York, and ran for 600 performances. In 1960 the national tour of FLOWER DRUM SONG began at the Riviera Theatre, Detroit and played in twenty-two cities before closing at the Hanna Theatre, Cleveland, on October 14, 1961. "FLOWER DRUM SONG continues to live and breathe, and sing, as joyously as it did three and a half decades in the past...Revolutionary for its time, it continues to be so in ours." 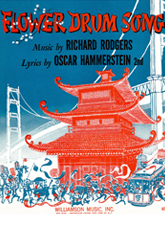 Rodgers and Hammerstein’s FLOWER DRUM SONG opened in New York on December 1, 1958 and ran for a year and a half. The London production, which opened in March of 1960, ran for more than a year and the successful film version was released in 1961. Prior to FLOWER DRUM SONG, Rodgers and Hammerstein had enjoyed great success with OKLAHOMA!, CAROUSEL, SOUTH PACIFIC, and THE KING AND I. They were to follow it with the enormously successful THE SOUND OF MUSIC. It should be noted that prior to writing with Rodgers, Hammerstein achieved recognition in earlier collaborations with Jerome Kern, Sigmund Romberg, and other illustrious composers. Mr. Rodgers was, of course, the Rodgers of Rodgers and Hart. "It was our lucky hit," said Oscar Hammerstein II in regards to FLOWER DRUM SONG, his ninth collaboration with Richard Rodgers. "Luck" was putting it mildly: even Hammerstein probably underestimated the web of serendipity that led to the popularity of their 1958 musical, a story of love and culture clash among Asian-Americans in San Francisco’s Chinatown. To paraphrase one of the show’s most beloved songs, FLOWER DRUM SONG’s journey to success is truly the product of a hundred million miracles. The story begins in China, where a man named Chin Yang Lee was born to a Hunan rice farmer in 1917. By the mid-1940s, with his country ravaged by war, Lee managed to secure a student visa and flee to America in pursuit of his dream: to be a playwright, like his hero Eugene O’Neill. Despite the language barrier, he was accepted into the Yale playwriting program, O’Neill’s prestigious alma mater. Drawing from his life experiences in China, Lee wrote several plays at Yale and had them produced on campus. When literary agent Ann Elmo showed up at one of them, Lee assumed that his big break had arrived. But instead, Elmo gave him some career advice that broke his heart. "Forget that Chinese stuff," she told him. "It’ll never sell." Discouraged, Lee moved to San Francisco, where he rented a room above a Chinatown honky-tonk and began to try his hand at straight fiction. His visa had expired by then, and he lived in constant fear of deportation—but his luck changed when one of his short stories won a national contest. Lee realized then that he had talent after all, and he decided to renew his visa and start a novel—one that returned to the subject of "that Chinese stuff." The finished manuscript, called The Flower Drum Song, was a hard sell. Even with Elmo working as his agent, no publisher was interested in selling a story about Chinese immigrants. As a last resort, Elmo finally sent the book to an obscure art-house publishing company called Farrar, Straus and Cudahy. It was their only hope. "If they turn it down," she told Lee, "you should give up writing." The publishing house sent the manuscript to one of their test readers, a very old man who worked from his home. The next morning, he was found dead in his bed—next to the manuscript of The Flower Drum Song, on whose cover he had scribbled: "READ THIS." The publishers could hardly ignore the dying wish of an old man; they read it, and they knew they had to publish it. 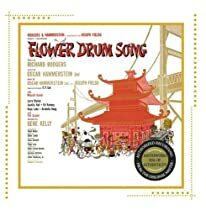 By 1857, The Flower Drum Song was on the New York Times best-seller list. The novel caught the eye of producer Joe Fields, who had been scrounging around for new material. It occurred to him that Lee's novel was perfectly suited to become a musical, and he knew just who he wanted to write the adaptation. 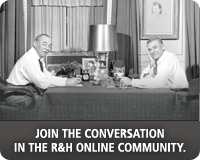 Around the same time, Rodgers and Hammerstein found themselves in a bit of a rut. Though they were enjoying boundless success with their movies and the CINDERELLA television special, R&H were also feeling the sting of two consecutive stage flops, ME & JULIET and PIPE DREAM. Seeking to explore new territory while staying true to their romantic roots, they were quick to team up with Fields on The Flower Drum Song, whose unusual setting and traditional love story appealed to their sensibilities. The hype began as soon as the news went public: FLOWER DRUM SONG was going to be a return to form for Rodgers and Hammerstein. 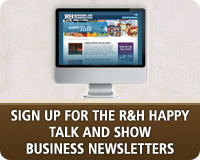 The theatre world buzzed with talk about the gutsy, exciting choices R&H were making. Gene Kelly was chosen to direct, and the three of them decided that they wanted to cast real Asian actors, not white actors in yellowface and eye makeup. Opening night arrived at the St. James Theatre on December 1, 1958. Lee sat nervously in the audience, accompanied by his agent and his publisher. Would the show be any good? He needn’t have worried: it "bowled me over," he said later. "I shed tears because it was so good." FLOWER DRUM SONG received mixed reviews from critics at the time, so Rodgers and Hammerstein were surprised when it turned out to be not only one of the most popular shows of the season, but a bona fide national phenomenon. Thanks to the show, Pat Suzuki even made history: that year, posing next to the Japanese-born Miyoshi Umeki, she became the first American-born Asian ever to appear on the cover of Time magazine. The movie version of FLOWER DRUM SONG was released two years later by Universal, bearing the distinction of being the first Hollywood movie about Asian-Americans, and the first to have an almost entirely Asian-American cast. Lee wrote the screenplay, and the film starred almost every famous Asian-American face in Hollywood. The movie was hugely popular in the Asian-American community: they wrote fan letters to the stars, started Flower Drum Song fan clubs, and even ate at Flower Drum Song theme restaurants. In San Francisco, Lee was given the key to the city. As the years passed, however, FLOWER DRUM SONG’s popularity waned. In light of the new racial sensitivities of the post-Civil Rights era, the very idea of a musical about Chinese-Americans written by the whitest of white men struck some people as outdated. Younger viewers saw some of the characters as stereotypes and were put off by their broken-English dialogue that occasionally verged on baby talk. For over 40 years, the show enjoyed no revivals and faded into a second-tier Rodgers and Hammerstein reputation. 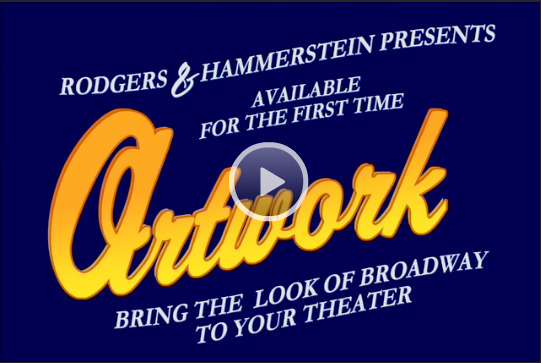 But all this changed with David Henry Hwang’s revamped FLOWER DRUM SONG revival in 2002. Hwang rewrote the musical’s book to ring truer for contemporary audiences, while preserving the wonderful songs. In the process, he discovered that FLOWER DRUM SONG had never really gone away. Even back in the 1970s and 80s, when it was most vehemently protested, "people would in private admit they liked the show," he observed. "How could they not? 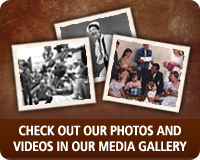 For us boomers, it was our first opportunity as kids to see Asian Americans singing and dancing in a Broadway play." The original company of FLOWER DRUM SONG had stayed together as a family over the years, and was famous for its periodic reunions. On one October night in 2002, they had their most exciting reunion yet: they all attended a preview performance of the revival together. Pat Suzuki liked it so much, she returned to see it again multiple times. Hwang’s revival brought new attention to FLOWER DRUM SONG, and now the show is as respected for its groundbreaking innovations as it is beloved for its old-fashioned entertainment value. One of its songs, "I Enjoy Being a Girl," has become a familiar standard; the rest of it is fondly remembered as good vintage Rodgers & Hammerstein. As AsianWeek.com recently declared, "Now is a great time for a new generation of people to see and support this unusual classic." The best way to view FLOWER DRUM SONG is through its Act I showstopper, "Chop Suey." While chop suey is a staple of your favorite Chinese restaurant, it isn’t really from China; it was invented right here in America. That doesn’t make it any less delicious. *Casting Note: FLOWER DRUM SONG is set in San Franciscos Chinatown, 1958. The characters are Chinese or Chinese-American. The roles should be cast with actors of Asian ancestry whenever possible. Barring that, the use of make-up or prosthetics to alter an actors ethnicity is discouraged. FLOWER DRUM SONG takes place in San Francisco's Chinatown in the present. (FLOWER DRUM SONG premiered in 1958). *Promotional video rights can only be granted once a performance license for Flower Drum Song has been secured. Please contact customer service if you have any questions. If you have not yet applied for Flower Drum Song, you can do so here. LOG IN to learn more. *You must be logged in and licensed to present Flower Drum Song in order to license Archival rights. Please contact customer service with any questions. *You must be logged in and licensed to present Flower Drum Song in order to license Distribution rights. Please contact customer service with any questions.